If you ask people about RV camping, they may not know what you mean. Even if they do, many people have never actually gone RV camping. But for those with a desire for both the great outdoors and a few of the luxuries of home, RV camping is one of the best getaways they could take! However, no RV camping trip is worth the trouble if you don’t have a great RV campground. There are many campgrounds that have spots for RVs, but the amenities are lacking. They have an electrical plug and space for a fire, but that’s about it. That can be fun for a single night, but even then it seems like far more trouble than it’s worth. 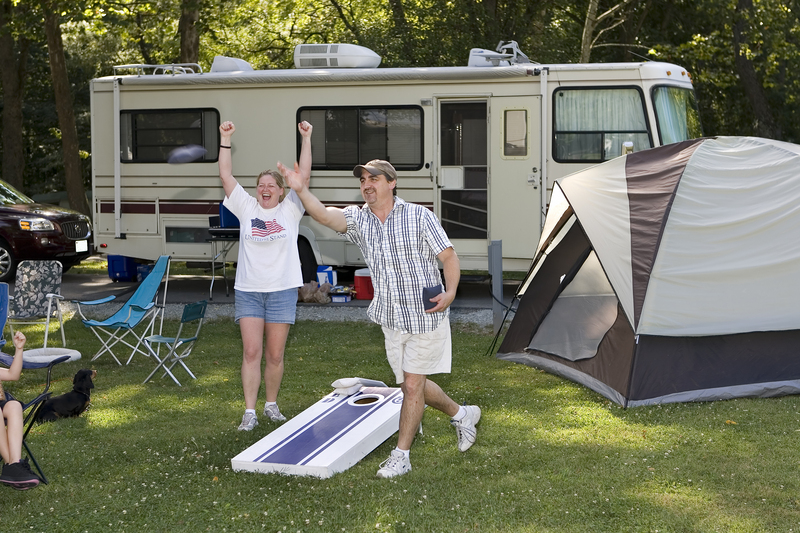 Luckily for those who want a great camping experience, there’s Headquarters RV Park campground! What Does HQ RV Park Have To Offer? Let’s start with the basics. HQ RV Park in northern Minnesota has everything you need for the perfect vacation foundation. It contains 13 private spots, all of which are elevated and covered with a rock floor that looks natural but keeps your RV clean. It also boasts consistent water pressure no matter how many campers are hooked up, and 20, 30, and 50 AMP hookups. So you don’t have to worry about your amenities, you’re taken care of! Beyond the basics, Headquarters is located at the edge of Superior National Forest and Voyagers National Park. Both of these locations are full of beauty as well as outdoor activities. Minnesota is known for lakes, and Headquarters is situated near Black Duck Lake, Crane Lake, Elephant Lake, and a number of others. You can enjoy fishing, swimming, or just walking around the lake and enjoying the sights. For those who enjoy canoeing down lakes and rivers, HQ RV Park is near the Boundry Water Canoe Area, otherwise known as the BWCA. Use one of the multiple entry points to launch your canoe and enjoy the sights! Of course, you can’t forget the live music out on Crane Lake. Or the Soudan Underground Mine State Park, where you can learn about the old mining life. Or the Mickey Bog Walk, which is a great tour of local bogs and swamps and is even handicap-accessible. The list goes on. If you’re looking for a great vacation, either for a weekend or a season, Headquarters RV Park can be your home away from home.